Hello to all of the Hall-Hoag loyal followers, and to those of you who may be joining us for the first time! 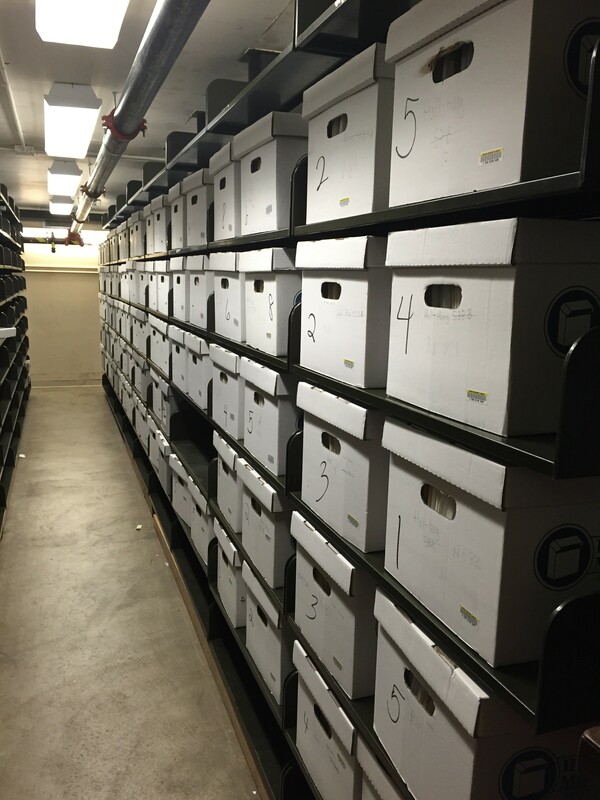 I wanted to introduce myself as the new Project Archivist for the the Gordon Hall and Grace Hoag Collection of Dissenting and Extremist Printed Propaganda. 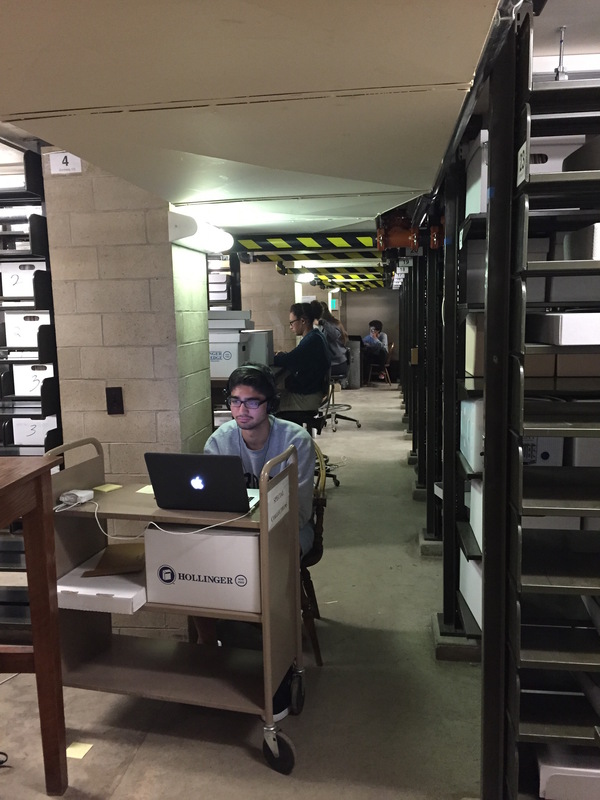 I’m Jordan, and I’ll be monitoring and working on the project for the duration of the CLIR grant. This post will give you a little information about me as well as a long-awaited update on the project progress. I come to Brown and the John Hay Library as a recent graduate of the Simmons College dual-degree program in Archives Management and History, and have had previous archives experience at Simmons College, Tufts University, Bunker Hill Community College, Antioch College, Oberlin College and the Chicago History Museum. I am absolutely thrilled to be taking part in this impressive, engaging, and extensive collection, and am looking forward to learning much more about extremism during my tenure at Brown. The project is now well into Stage 3, which has involved arranging the folders containing the collection materials into perfect alphabetical order, and then transferring the folders (in perfect alphabetical order) back into their respective letter boxes. This may seem like a simple and quick feat, but when you have over 100 large boxes per letter with materials that need alphabetizing (perfectly!) and rehousing this process is neither fast nor easy. Luckily we have had a group of hard-working and diligent student workers assisting in this task for the summer. Be on the look out for a new post in the beginning of August. I will be continuing Daniel’s trend of highlighting some of the really interesting organizations in the collection.